Published: Nov. 23, 2016 at 04:38 p.m. 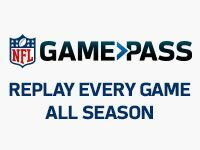 Updated: Nov. 23, 2016 at 05:18 p.m.
Exploiting matchups is key in fantasy and can help us unearth sleepers, value plays and also alert us to when we should fade or lower expectations for more establish studs. There are a number of statistics and data-based tools to helps us decipher which matchups to exploit and which to avoid, one of which is the NFL's Next Gen Stats package -- not just the fancy speed numbers you see on television. Here we'll look where cornerbacks and wide receivers line up, which defenses are particularly susceptible to which player packages and so much more in order to find value with our fantasy players. As the season goes along we'll have even more data to use and a better understanding of the Next Gen Stats. Here are the top matchups that could bring value in Week 12. Since their eruption in Week 8 against Tampa Bay where each member of the duo went for over 100 yards receiving, it's been a slow stretch for the Oakland receivers. Amari Cooper hasn't cracked 60 yards receiving, and needed a long catch and run touchdown to salvage a week where he struggled to earn much separation early. It's been even worse for Michael Crabtree, who has just 32 yards combined in the last two weeks, and had his worst game in an Oakland uniform last week. When picking between the Raiders receivers for Week 12, we should once against expect Crabtree to have a slower game than Cooper. Panthers general manager Dave Gettleman looks like he found another good under-the-radar cornerback when he took James Bradberry out of Samford in the second-round of the 2016 NFL Draft. Bradberry stepped in to take the place of Josh Norman this season at left cornerback as a rookie, and he's mostly been up to the task. He even looks a bit like Norman too, standing at 6-foot-1 with 33-inch arms and that No. 24 jersey. Bradberry missed three straight games in the middle of the season but has played lights out football since then. Opposing quarterbacks have targeted Bradberry 17 times in the three games since he returned from injury. The rookie corner has been solid, allowing just a 47 percent completion rate, 75 total yards and a 79.3 passer rating. In Week 11 Bradberry was the primary cornerback to cover Saints speed receiver Brandin Cooks. When lined up against the rookie corner, Cooks only garnered 26 yards on six targets. Bradberry demonstrated an ability to mix up his approach based on the player he was covering. He averaged 8.0 yards of cushion when lined up over Cooks on those six targets, being content to let up the underneath work and never allowing the receiver to get over the top. Bradberry took 98 percent of his snaps on the defensive left side over the last three weeks, so he'll square off with Crabtree more often than Cooper on Sunday. Crabtree racked up 59 percent of his yardage so far this season when lined up at right wide receiver. Cooper will get to square off with the lesser Panthers cornerbacks in this matchup, taking 54 percent of his snaps from the left side of the offense on the season. Much has been made this year of Carson Wentz playing in a dink-and-dunk offense in Philadelphia. There's certainly some truth to that, as Wentz averages just 6.31 air yards on his completions, which ranks 28th in the NFL. Whether by his own shortcomings brought on by inexperience or the fact that he has no receivers that can consistently separate down the field, Wentz has yet to show he can push the ball downfield with any regularity. Wentz has only averaged over 10 intended air yards per attempt in three games this year and he's had an average passer rating of 67.8 in those contests. In all other games he's averaged fewer than 10 intended air yards per attempt and he's posted an average passer rating of 92.4. Wentz's only other game with a passer rating below 86 was when the imposing Vikings beat him up in Week 7. He averaged 8.5 intended air yards on his passes and had a season-low passer rating of 52.4. On the year Wentz has a 40.6 passer rating on passes traveling 20-plus yards in the air. Only Blake Bortles (17.1), Carson Palmer (21.1) and Brock Osweiler (27.3) have a lower mark among NFL starters. With all that said, this may be the week where Wentz finally breaks that trend. The Eagles welcome the Packers to Philadelphia and it couldn't be at a better time. Green Bay has sustained huge losses to their defense and it's hurt their ability to defend the deep ball. The Packers allowed eight touchdowns on deep passes that travel 20-plus yards in the air, the most of any team in the NFL. Five of them came in the last four games alone. The dam finally and completely broke on Sunday night this week. Green Bay allowed Kirk Cousins to complete three passes traveling over 20-plus air yards, including two bombs for touchdowns over the middle of the field. The heart of their defense is painfully weak right now, after Cousins attempted 50 percent of his passes there for 291 yards and all three of his touchdowns with a 157.9 passer rating. That could also play perfectly into Wentz's hands, despite his poor numbers throwing turnovers in the middle of the field. The Eagles' only two established receiving weapons mostly operate over the middle of the field. Jordan Matthews is second in the NFL in yards gained from the slot with 514. Tight end Zach Ertz has 187 yards and a score over the last three games, with 36.4 percent of the yardage and the touchdown coming when he lined up in the slot. If Wentz is finally going to string together a game where he pushes the ball down the field effectively on a consistent and statistically effective basis, it will be this spot. Everyone will be all over Tyler Boyd just because he happened to catch a touchdown after A.J. Green went down. There's no doubt he will see a clear uptick in usage, but he may not have the most upside of the wide receiver group with Green out. People often mistake a new player for having more upside than a known mediocre veteran player just because they haven't seen the latter play in the NFL. The only thing that dictates upside is usage. Boyd will be popular but opportunity might still favor LaFell. Red zone work can help matters, and Boyd did haul in a red zone touchdown last week, but it's hard to project him for a dominant market share of those targets as long as Tyler Eifert is in the picture. Even with a solid line in Week 11, Boyd still averaged just 19.1 percent of Dalton's intended air yards, more than 10 percent less than Brandon LaFell. LaFell will play the flanker position, which is more often funneled targets than a typical slot receiver. Not only will he be on the field more, but he'll see the downfield targets. That sort of usage dictates a path to upside more than the fact that his teammate happens to be a rookie. The veteran has a strong chance to get off to a fine start in his move to replace Green as the top outside receiver. Top Ravens corner Jimmy Smith, who missed Week 11 with injury, has only shadowed when Baltimore has played a team with a clear-cut No. 1 wideout. That's not the case in Cincinnati anymore, so if Smith plays he will likely stick at right corner. The Ravens have had major issues at allowing big plays from their left corner position. Baltimore allowed 44 receptions, 570 yards and a whopping nine touchdowns to wide receivers lined up on the right side of the field through the first 11 weeks. Only the 49ers have allowed more touchdowns to right wideouts. For a comparison, the Ravens allowed the ninth-fewest yards to slot receivers (609) heading into Week 11 and gave up just 56 yards to Cole Beasley out of the slot last week. On the season LaFell lines up at right wide receiver on 47 percent of his plays, more than any other spot. If you're in need of a playable option this week, consider LaFell over Boyd. The rookie will be a fine NFL contributor in due time, but the usage suggests it is LaFell who has the higher ceiling for fantasy purposes. So many of us clamored to jump on the Jared Cook bandwagon when he signed with Green Bay this offseason. It took months to happen, but we finally saw what we waited so long for on Sunday night in his first game back from an extended injury absence. Cooks led the Packers in targets, receiving yards and racked up a team-high five red zone targets in Week 11. He looked every bit the integral piece and physical mismatch the truthers have hoped for over the years. While that usage and essentially everything we saw from his deployment on Sunday is promising, the Eagles could provide a formidable challenge for Cook on Monday night. Philadelphia is tied for the fewest catches allowed to tight ends lined up in the slot or out wide (15) with just 200 yards against them. Jimmy Graham did break that trend this past week, catching a 33-yard touchdown from the slot. However, he needed help from Russell Wilson's improvisational skills to get it done. Wilson took 5.1 seconds to release the ball to Graham on that play, which was the longest time to throw on any touchdown pass in Week 11. Other than that, he only managed one more catch for six yards from either the slot or out wide. Aaron Rodgers is another quarterback who can improvise to a point where Cook would be able to break free from Malcolm Jenkins and their other middle of the field defenders, of course. Yet, this looks like it may be a tough spot, matchup-wide, for Cook to repeat the success he found in Week 11.